Gordon Elliott’s charge carried 10st 13lb to victory last year – but has been saddled with 11st 1lb in the initial weights for this year’s renewal on April 6. While clearly unlikely to get all of his entries into the race, Elliott – who also struck in 2007 with Silver Birch – fully intends to run as many as possible in the £1million spectacular. He said: “I’ll run as many as I can. I’ve won it before and it would be nice to win it again. “Basically I’ll run whatever gets in. If I can get 10 to 15 in, I’ll run them all. “We look forward to it. Obviously it’s a race we target and want to win. “It will be very hard for Tiger Roll. He’s got a lot more weight this year, but we’ll see what happens. “He’s very good. He’ll run in the Boyne Hurdle in Navan this weekend and then go to Cheltenham for the cross-country again. “Obviously we have Dounikos and General Principle, who ran well in the trial at Punchestown. They’ll be going. Nigel Twiston-Davies’ multiple Grade One winner Bristol De Mai heads the weights on 11st 10lb, on a lowered rating of 168, with the Naunton handler also counting impressive Sky Bet Chase victor Go Conquer (10st 13lb) and 2017 Becher Handicap Chase winner Blaklion (10st 12lb) among his nine entries. Twice the winning trainer of the National, through Earth Summit (1998) and Bindaree (2002), Twiston-Davies said: “I’d love Bristol De Mai to have a go. The Gold Cup is his main objective, but if he comes out of that with flying colours, then why not have a go at the National? “Then we’ve got Blaklion, who was brought down at the first last year. He’s now got a more manageable weight, so let’s hope for him. Tony Martin’s Anibale Fly finished fourth last year and has been given 11st 6lb this time, with Welsh Grand National winner seven-year-old Elegant Escape (11st 4lb) another leading contender for Colin Tizzard. Owner Trevor Hemmings would become the most successful owner in the race’s history if he can win a fourth renewal and his potential representatives include the Nick Alexander-trained Lake View Lad (10st 11lb) and Grand Sefton scorer Warriors Tale (10st 9lb). One For Arthur (10st 10lb) won the race two years ago for Lucinda Russell, but was unable to defend his crown last year due to injury. Other entries with proven form over the Grand National fences include this season’s Becher Chase winner Walk In The Mill (10st) and dual Topham winner Ultragold (10st 3lb). British Horseracing Authority handicapper Martin Greenwood framed the weights for the first time this year and explained why he had adjusted Bristol De Mai’s mark. He said: “Bristol De Mai heads the weights and his rating has been compressed by 5lb as I thought it was better to have a horse at the top of the handicap whose rating was slightly out of kilter. “If Bristol De Mai does run then I think it was the right call to make. “I found Auvergnat (10st 8lb) of Enda Bolger’s hard to weigh up. He has a lot of cross-country form and he was the hardest one I had to deal with. 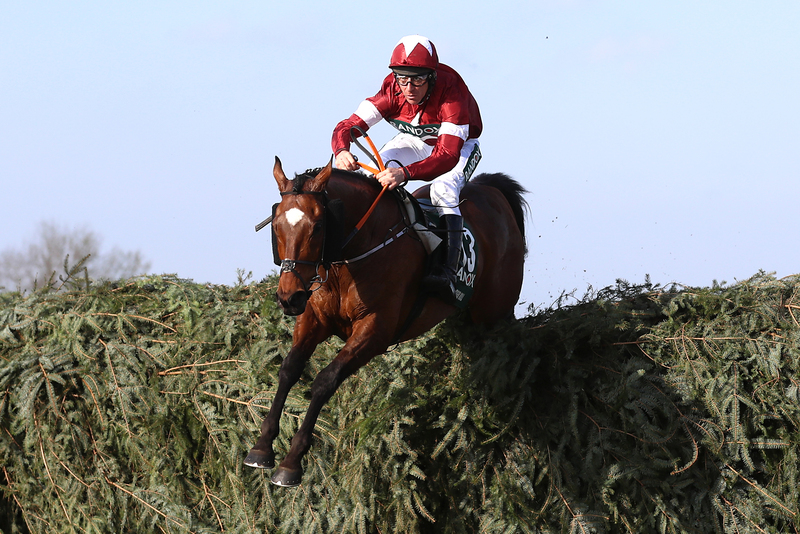 “He has been running primarily in cross-country races and they are events which are having an increasing impact on the Grand National, highlighted by Tiger Roll’s success last year. “Tiger Roll is up 9lb from his mark for last year’s Grand National and Pleasant Company 7lb. I have them both on the same mark for what they were rated after last year’s Grand National. “I think there are several interesting runners like Vintage Clouds and Elegant Escape, who is towards the top of the betting and he is an improving horse and was a good second to Frodon at Cheltenham last time out, so you can see why he is one of the more fancied horses. “At the entry stage, you needed to be around the mid-70s to get you into the race. I think anything based in the top 80 has a chance of getting in.